I've been having a great time strolling through ethnic markets looking for new-to-me foods to try. It feels a little strange buying something with no clue how it's supposed to be prepared, what it's made of, and what it will taste like. Many of the wrappers in ethnic markets are at least partially in English, but not all of them. And, of course, things like produce don't have packaging at all. I can only guess about what I'm buying and how it's eaten until I get home and Google it. Of course, that's the fun of 43 New-to-Me. The 15th food I tried came from an Indian market and was labeled 'Product of Canada.' 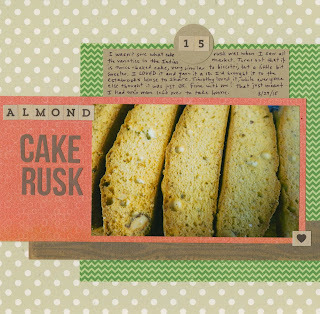 It was called Almond Cake Rusk and, based on the ingredient list, seemed like a pretty standard cake-like dessert. However, the package rattled, which is unusual behavior for cake. For that matter, it's unusual for cake to be in a plastic package in the first place. I was intrigued. Well, as it turns out, cake rusk is slices of twice-baked yellow cake (in this case, with almonds) that is dry enough to rattle in the package. Think biscotti, but a bit sweeter and more cake-like in flavor. I LOVE biscotti and it turns out that I LOVE cake rusk too. I brought it to my sister's house and opened the package for everyone to try. Most everyone was 'meh' about it; they finished their pieces but didn't go back for more. The general consensus was that the moistness is the best part of cake. I disagree (and so apparently did my nephew Timothy, who went back at least twice for more). I gave the almond cake rusk a 10 out of 10. 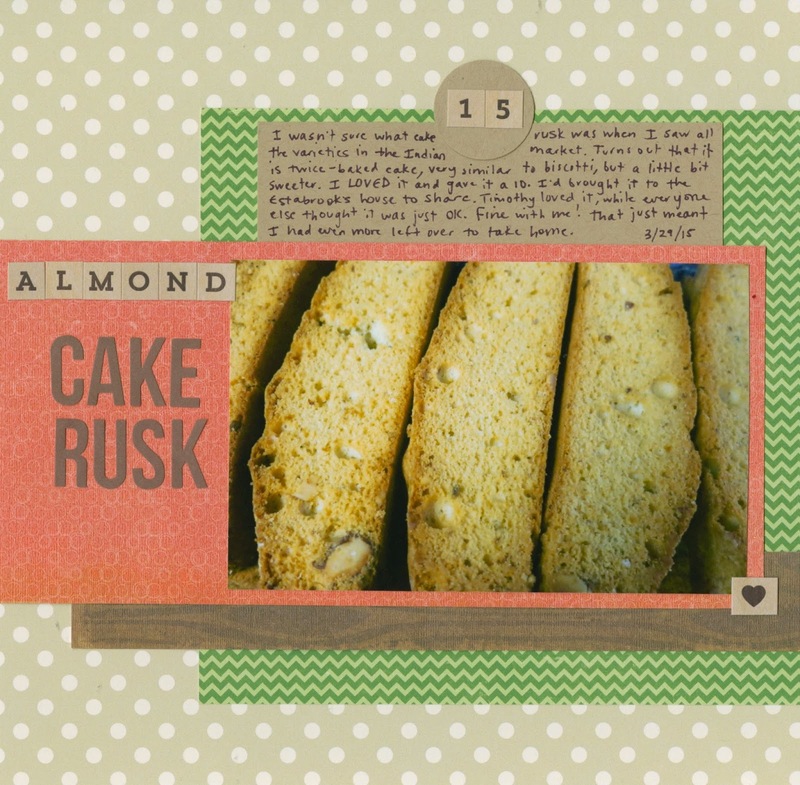 Now that I know about cake rusk, I'm going to be on the lookout for other flavors! perhaps rusk means toast in some locales. I am from Iowa (now living in the South) but my Dad used to get rusk from the grocery store -- just a regular store, like A&P or Piggly Wiggly in those days --. It was not cake nor did it taste like cake. It was like thick slices (round) of a bread type substance that seemed to be toasted. It too was very dry and crunchy but had a nice flavor. I always liked it. He also would sometimes buy zwieback which was a crunchy bread/toast type of thing. We put butter on it and would have it with breakfast. Some people gave zwieback to babies for teething but I don't believe rusk was ever used for that purpose. Wikipedia agrees with you: "Rusk is a hard, dry biscuit or a twice-baked bread." Very interesting! A soft biscotti sounds delicious!